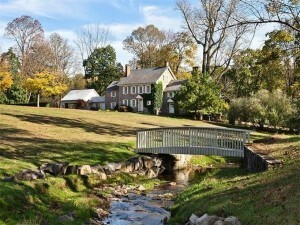 Discover beauty and spectacular views in Bucks County. From beautifully landscaped gardens to natural wildflower preserves, this little slice of heaven is perfect for the gardening enthusiast. Reconnect with nature as you find yourself surrounded by the indigenous flora and shrubbery at any one of these amazing gardens and the stunning views they offer. Bowman’s Hill Wildflower Preserve. A place where the mind, heart and spirit are in bloom. This 134-acre preserve has more than 800 species of native plants. You should always find something blooming at Bowman’s Hill preserve between the months of March and October. Walk through the nature trails and relax by the pond or in the woodlands. This place also has educational tours for both children and adults, making this the perfect calming experience for visitors of all ages. Byer’s Choice Emporium. This beautifully manicured garden in Chalfont gives a stark contrast to the eternal winter inside. Visitors can enjoy strolling the English sunken garden and view the gardens numerous sculptures, along with trees, bushes and flowers. Tyler Gardens. 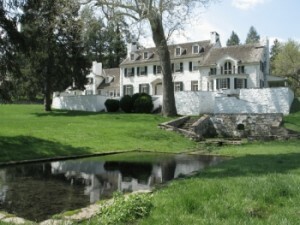 Locatedat Bucks County Community College, this formal garden was brought to life back in the early 1930s and was created to host extravagant gatherings at the home of the Tyler Family. This four-tiered garden is inspired by both Italian and French designs, and is now open to the public. It sits on an acre of land and has a large variety of flowers, shrubs, staircases, stone walls and a gazebo. Beautiful bronze sculptures and water fountains made by Stella Elkins Tyler are still on display. Andalusia. This is a Greek revival style mansion with extensive gardens. You can schedule a tour of the tranquil gardens, and it is sure to be an unforgettable experience. Take in the picturesque views of the Delaware River while checking out stunning trees, plants, and flowers in the graperies, the pool pavilion gardens and the green walk. 9/11 Memorial Garden of Reflection. This serves to honor and remember the victims of the September 11th tragedy. Take a look at the outdoor exhibit entitled “After Darkness…Light” which features the remnant of the Twin Towers, the names of the victims that called Bucks County home, engraved in glass, and two towering fountains at the center of the garden. The new Oak Garden serves as the first phase of a new arboretum at the park, which should add more meaning to what is already an emotional experience. Peddler’s Village. The gardens in this place are a nice area to stroll on paved walkways. This is an 18th century inspired shopping village with sprawling gardens all throughout its 42-acre property. Some of the most notable things in this village are a traditional Dutch style tulip garden that gives the whole area new life once it blooms in spring. Hortulus Farm Nursery & Garden Center. Located in Wrightstown, this place is dubbed as “where history and horticulture meet” and is a major exhibitor in the Philadelphia Flower Show for almost a decade now. This is a haven for some of the most unusual and the rarest flower species. Throughout this 100-acre farm, you can explore the enthralling gardens, stroll through the idyllic ponds and experience the rich horticulture history at the library and museum. Peace Valley Lavender Farm. With its unmistakable scent of lavender, this farm will has a gift shop where you can get lavender-inspired gift ideas, like bath soaps and body lotions, potpourri and culinary products. Between June and July, you can marvel at the never-ending lavender fields when they are in full bloom. Their alluring beauty and aroma will take your breath away. How beautiful would it be to have a glimpse of these beautiful gardens from your bedroom window? 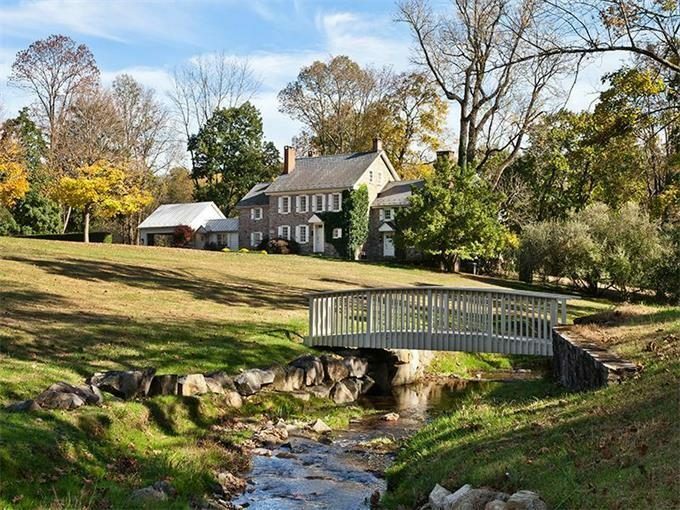 There are estates for sale in Bucks County and million dollar homes in Newtown Township that will offers you gorgeous views of your own gardens. Ask your agent about Solebury township homes for sale now.